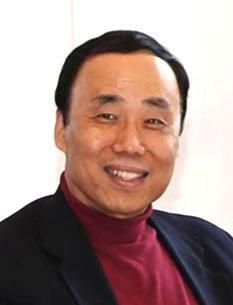 Kyung-Suk Kim is currently Professor of Engineering and a member of Solids and Structures Group at Brown University, directing the Scale Bridging Mechanics, Nano and Micromechanics Research. Professor Kim has played a central role in studying scale-bridging mechanics in broad scale phenomena as well as mechanical behavior of nanostructures by developing creative theories and conducting precision experiments. Professor Kim's research interest is in the interdisciplinary area of solid mechanics of small scale material structures, or the nano and micromechanics of solids. He is currently the Director of the Center for Advanced Materials Research at Brown. He is also directing the Nano and Micromechanics Laboratory where research is aimed at the advancement of science and technology for proper development and improvement of technological infrastructures for the transition from an industrial society to an information society. Professor Kim has worked as an engineering scientist, inventor, and educator to contribute to a rapidly evolving society. His research interests are interdisciplinary - solid mechanics of small scale material structures, nano and micromechanics of solids in both experiment and theoretical modeling. Through his research, he has invented numerous new scientific instruments and analytical methods, and he has recently initiated “ruga mechanics” as a new thrust in applied mechanics research. As an educator, he has developed a number of innovative laboratory course materials, including “Bow and arrow dynamics”, “Wheel and suspension dynamics” and “Violin and bell dynamics” laboratory course materials. So far, he has advised more than 35 PhD students and Post Docs who are currently in academia or industries. He is currently the representative of the Society of Engineering Science to US National Committee for Theoretical and Applied Mechanics. Award Number: TG-MSS130003; Principal Investigator:Kyung-Suk Kim; Organization:Brown University; NSF Organization:MSS; Award period: 2012 -2015; Resources: ranger.tacc.teragrid. MRSEC: "Nano and micro mechanics of solid interfaces", 05-13, co-investigator. MRSEC: "Micro-and Nano-Mechanics of Multifunctional Materials", 00 - 05, co-investigator. MRSEC: "Micro-and Nano-Mechanics of Materials", 96 - 00, IRG Coordinator. MRG: "Micro-and Nano-Mechanics of Failure Resistant Materials", 93-96, co-investigator. MRG: "Micro-Mechanics of Failure-Resistant Materials", 89-92, co-investigator. Hyundai Motors: sole PI; Thermal stresses and strength of solids, 02-06, $360,000.-. 129. M. Kothari, M. H. Cha, V. Lafevre and K.-S. Kim, "Critical curvature localization in graphene. II. Nonlocal flexoelectricity-dielectricity coupling, Proceedings of the Royal Society A. Vol. 475, Issue 2221. doi: 10.1098/rspa.2018.0671, 2018. (Press Release), (NSF News). 128. M. Kothari, M. H. Cha and K.-S. Kim, "Critical curvature localization in graphene. I. Quantum- flexoelectricity effect," Proceedings of the Royal Society A. Vol. 474, Issue 2214. doi: 10.1098/rspa.2018.0054, 2018. (Press Release). (NSF News). 127. R. Li, M. Kothari, A. Landauer, M. Cha, H. Kwon, & K.-S. Kim, "A New Subcritical Nanostructure of Graphene—Crinkle-Ruga Structure and Its Novel Properties," MRS Advances, Vol. 3, Issue 45-46, pp 2763-2769. doi:10.1557/adv.2018.432, 2018. * K.-S. Kim, "Hidden, forbidden and inherited spectrum of roughness caused by multilayer deformation instabilities near a free surface," CECAM Workshop: Emergence of surface and interface structure from friction, fracture and deformation, Invited Lecture, Lausanne, Switzerland, July, 2018. * K.-S. Kim, "Graphene Nanotechnology for Molecular Informatics: The Graphene Moleculography," Keynote Lecture, NANO 2018, Hongkong, June, 2018. * K.-S. Kim, "Critical curvature localization in graphene used for molecular informatics: The graphene moleculography," Invited Seminar, Ecole Polytechnique, Paris, France, March, 2018. * K.-S. Kim, "Graphene Atomic-lattice Interferometry for Molecular Bio-Informatics: The Graphene Moleculography," Invited Seminar, Univeristy of Houston, Houston, Texas, March, 2018. 126. K.-S. Kim, "Nanoscale Fracture and Rumpture Properties of Graphene," Prodeedings of ICFXIV, vol2, pp. 1212-1213, June, 2017. 125. M. Kothari, M.-H. Cha, K.-S. Kim, "Critical behavior of curvature localization in graphene," Bulletin of the American Physical Society, A30.00010, March, 2017. * K.-S. Kim, "Wonders of graphene crinkle as novel bio-molecular zipper for 'from genomics to phonemics'," Invites Seminar, UCSD, October, 2017. * K.-S. Kim, "Nanoscale fracture and rupture properties of graphene: Five wonders in mechanics of graphene," Proceedings of the International Conference on Fracture 14, Keynote Lecture, Rhodes, Greece, June, 2017. * K.-S. Kim, ​​​​​“Electro-Mechanical Instability of Layered Nanostructures,” Workshop on Mechanics in Scientific Discovery, Invited Talk, Florence, Italy, June 9, 2017. * K.-S. Kim, "Micromechanics of Adhesion at Broad Scales: From Molecular to Continuum Adhesion," Plenary Lecture, The Adhesion Society 40th Annual Meeting, St. Petersburg, Florida, February 28, 2017. 124. J.R. Torres, G.D. Jay, K.-S. Kim, G.D. Bothun, "Adhesion in Hydrogel Contacts," Proceedings of the Royal Society A, DOI: 10.1098/rspa.2015.0892, 2016. 123. R. Zhao, M. Diab, K.-S. Kim, "The Primary Bilayer Ruga-Phase Diagram II: Irreversibility in Ruga Evolution," Journal of Applied Mechanics, doi:10.1115/1.4033722, 2016. * K.-S. Kim, “The Advancement of Ruga Mechanics and Its Applications in Molecular Engineering,” Extended Abstract, Drucker Medal Acceptance Talk, ASME-IMECE, November, 2016. * M. Diab, J. Torres, M. Monn, R. Zhao, K.-S. Kim, “Hidden, forbidden and inherited spectra of hierarchical wrinkles of a soft material surface,” Invited Talk, Proceedings of the 53rd Society of Engineering Science, D7-1, October, 2016. * R. Zhao, M. Diab, K.-S. Kim, “A Mechanics Study on Surface Ruga Morphologies of Soft Materials,” Proceedings of the 53rd Society of Engineering Science, D14-1, October, 2016. * K.-S. Kim, “Renormalization scaling of friction and fracture with hierarchical multiscale mechanisms,” Proceedings of the 53rd Society of Engineering Science, D9-3, October, 2016. * B. Jang, J. Kim, H. Lee, K-S. Kim, C-K. Wang, "Instrument and method for atomic resolution measurement of deformation," Patent (Korea) 10-1633648, issued 06/21/2016. 122. Hyun-Gyu Kim, Jin Woo Yi, Seong-Woong Kim, Kyung-Suk Kim and Sharvan Kumar, "Fracture toughness of free-standing nanocrystalline copper-chromium composite thin films," Acta Materialia, vol. 84, pp 95–109, 2015. 121. R. Zhao, T. Zhang, M. Diab, H. Gao, K-S. Kim, "The Primary Bilayer Ruga-Phase Diagram I: Localizations in Ruga Evolution," Extreme Mechanics Letters, vol 4, pp 76-82, 2015. 120. Jong Hyun Jung, Jaehyun Bae, Myoung-Woon Moon, Kyung-Suk Kim, Jisoon Ihm, "Numerical study on sequential period-doubling bifurcations of graphene wrinkles on a soft substrate," Solid State Communications, vol 222, pp 14-17, 2015. * K.-S. Kim, "Atomic force microscope interferometry (AFMI) for studies of 2D materials," Drucker Medal Symposium, ASME, Houston, TX, 11/15/2015. * K.-S. Kim, M.-H. Cha, H. Kwon, J. Seo,"Molecular self-assembly with crinkle-ruga structures in multilayer graphene," Proceedings of ANNIC, Nanomedicine and Nanobiotechnology Syposium, November, 2015. * A. Landauer, I. Newton, C. Franck, K.S. Kim, "Experimental validation of ruga-phase diagram for primary bilayer systems," Proceedings of the 52nd Society of Engineering Science, October, 2015. * K.-S. Kim, "Study on deformation-crinkle properties of multilayer graphene," Proceedings of the 52nd Society of Engineering Science, Prager Medal Symposium, College Station, TX, 10/27/2015. * K.-S. Kim, “Mechanics of hierarchically rough surfaces: scale dependence in ruga mechanics and friction,” Symposium on The Application of Mechanics to Geophysics supported by the National Science Foundation & the Green Foundation, UCSD, La Jolla, CA, 01/17-18/2015. * U.S.Pat-9,003,561, BK Jang, J Kim, HJ Lee, K Kim, C Wang, “Device and method for measuring distribution of atomic resolution deformation,” United States Patent, Patent Number 9,003,561: issued on April 7, 2015. * Imechanica Mazen Diab, Ruike Zao and Kyung-Suk Kim, "The ruga mechanics", Journal Club Theme of February 2015. * Discover Top 100 Stories in 2014, #30, "New Math for Designer Wrinkles: Equations calculate how a rubbery material deforms under pressure," Shanon Palus, January, 2015. 118. Sk. F. Ahmed, So Nagashima, Ji Yeong Lee, Kwang-Ryeol Lee, Kyung-Suk Kim and Myoung-Woon Moon, “Self-assembled folding of a biaxially compressed film on a compliant substrate,” Carbon, vol. 76, pp 105-112, 2014. 117. Jeongwoon Hwang, Jisoon Ihm, Kyung-Suk Kim, Moon-Hyun Cha, "Phonon softening and failure of graphene under tensile strain," Solid State Communications, vol 200, pp51-55, 2014. 116. E. Bar-Kochba, E. Andrews, K.-S. Kim and C. Franck, “A fast iterative digital volume correlation algorithm for large deformation,” Experimental Mechanics, DOI 10.1007/s11340-014-9874-2, 2014. 115. Teng Zhang, Zuoqi Zhang, Kyung-Suk Kim and Huajian Gao, “An accordion model integrating self-cleaning, strong attachment and easy detachment functionalities of gecko adhesion,” Journal of Adhesion Science and Technology, vol. 28(3-4), pp. 226-239, 2014. 114. MH Cha, J Hwang, J Ihm, KS Kim, "Ideal Strength of graphene under general states of tensile strain", Bulletin of the American Physical Society, Volume 59, Number 1, BAPS.2014.MAR.C1.13, 2014. * K.-S. Kim, “Scale-bridging experiments and field projections for failure analysis of nanocrystalline materials,” – Bridging Scales in Heterogeneous Materials – MRS Proceedings, Boston, MA, Dec. 3, 2014. * K.-S. Kim, “Nonlinear inverse analyses of buckling and fracture in nano structured thin films,” AmeriMech 2014, Austin, Texas, Dec. 12, 2014. * NPR Science News, "At the nano level, wrinkles aren’t always no-no," All things considered, Joe Palca, Aug 18, 2014. * K.-S. Kim, “Characterization of Interfacial Sliding Properties at Amorphous Si/Cu Interface due to Li-ion Intercalation by Using Self-Adjusting Liquid Linnik Interferometer,” – Fracture and Failure in Bio- Nano- and Energy Systems – Proceedings of the 17th U.S. National Congress of Theoretical and Applied Mechanics, Michigan State University, East Lansing, MI, June 16, 2014. * K.-S. Kim, “Nonlinear Field Projection Method in Nanoscale Structures and Materials,” Lallit Anand 65’th Birthday Symposium, Proceedings of the 17th U.S. National Congress of Theoretical and Applied Mechanics, Michigan State University, East Lansing, MI, June 16, 2014. * K.-S. Kim, “Cascade instabilities of ruga formation in soft-­material boundary layers,” IAS 2014, Cachan, France, June 6, 2014. * K.-S. Kim, “Ruga Mechanics of Crinkles: Search for New Multi-functional Materials”, Invited talk for Knauss 80th birthday symposium, Caltech, Pasadena, CA, 12/10/2013. * K.-S. Kim, “Science and Technology in New Bridging Era: Engineering of Self-organized Emergence”, DGIF, Plenary Lecture, Daegu, Korea, 11/22/2013. * K.-S. Kim, “Role of interferometry in mechanics: From optical to atomic lattice interferometry”, for M Ferst Awrad ceremony for R. J. Clifton, Georgia Tech, Atlanta, GA,10/25/2013. 112. K.-S. Kim, “Ruga Mechanics and Ruga-Phase Diagrams,” the symposium in honor of Prof. Rod Clifton on the occasion of his 75th Birthday in SES 50th Annual Technical Meeting, Providence, RI, 7/29/13. * K.-S. Kim, “Search for New Materials with Ruga Mechanics”, BIRS Workshop on mathematics and mechanics in the search for new materials, Banff Research Station, Canada, 7/18/2013. * K.-S. Kim, “Ruga Mechanics of Neo-Hookean Solids with Stratified Elastic Moduli”, Continuum Mechanics of Solids and Fluids: A Symposium in Honor of Roger Fosdick, PACAM XIII, Houston TX, 5/23/2013. 111. M. Diab and K.-S. Kim, “Folds and Crease from Wrinkles,” Bulletin of the American Physical Society, Volume 58, Number 1, 2013. * K.-S. Kim, “Bio-Mimicking of Extreme-Property Hybrid Structures: Ruga Mechanics” Proceedings of the International Symposium on Nature-inspired Technology 2013 (ISNIT 2013), Plenary Lecture, Gangwon-do, Korea, 01/08/2013. 110. H.-G. Kim, H. B. Chew and K.-S. Kim, "Inverse extraction of cohesive zone laws by field projection method using numerical auxiliary fields," International Journal for Numerical Methods in Engineering, vol. 91(5), pp. 516-530, Aug 2012. 107. Z. Zhang, Y. W. Zhang, T. Zhang, K.-S. Kim and H. Gao., “Strain-controlled switching of hierarchically wrinkled surfaces between superhydrophobicity and superhydrophilicity,” Langmuir, vol. 28(5), pp. 2753-2760, 2012. 105. C.-K. Wang, H. B. Chew and K.-S. Kim, “Nanometer scale mechanical behavior of grain boundaries,” MRS Proceedings, vol. 1297, pp.1-9, 2011. 104. Q.G. Wang, M. Praud, A. Needleman, K.-S. Kim, J.R. Griffiths, C.J. Davidson, C.H. Cáceres and A.A. Benzerga, “Size Effects in Aluminium Alloy Castings,” Acta Materialia, vol. 58(8), pp. 3006-3013, 2010. 103. S.O. Kim, Y.Y. Earmme and K.-S. Kim, “Useful conservation sums in molecular dynamics and atomistics,” Mathematics and Mechanics of Solids, vol. 15(8), pp. 885-895, 2010. 102. Yudi Rahmawan, Myoung-Woon Moon, Kyung-Suk Kim, Kwang-Ryeol Lee, and Kahp-Yang Suh, “Wrinkled, Dual-Scale Structures of Diamond-Like Carbon (DLC) for Superhydrophobicity,” Langmuir,vol. 26(1), pp. 484-491, 2010. 101. Qunyang Li and Kyung-Suk Kim, “Micromechanics of rough surface adhesion: a homogenized projection method,” Acta Mechanica Solida Sinica, vol. 22(5), pp.377-390, 2009. 100. Huck Beng Chew, Soonsung Hong and Kyung-Suk Kim, “Cohesive zone laws for void growth - II. Numerical field projection of elasto-plastic fracture processes with vapor pressure,” Journal of the Mechanics and Physics of Solids, vol. 57(8), pp. 1374-1390, 2009. 99. Soonsung Hong, Huck Beng Chew and Kyung-Suk Kim, “Cohesive zone laws for void growth - I. Experimental field projection of crack-tip crazing in glassy polymers,” Journal of the Mechanics and Physics of Solids, vol. 57(8), pp. 1357-1373, 2009. 98. D. K. Ward, D. Farkas, J. Lian, W. A. Curtin, J. Wang, K.-S. Kim, and Y. Qi, “Engineering size-scaling of plastic deformation in nanoscale asperities,” Proceedings of the National Academy of Sciences, vol. 16(24), pp. 9580-9585, 2009. U.S.Pat-7,543,791. Kyung-Suk Kim and Allan Rydberg, “Tunable inverse pendulum vibration isolation system,” United States Patent, Patent Number 7,543,791: issued on June 9, 2009. 97. Shuman Xia, Yue Qi, Tom Perry and Kyung-Suk Kim, “Strength characterization of Al/Si interfaces: A hybrid method of nanoindentation and finite element analysis,” Acta Materialia. Vol. 57(3), pp. 695-707, 2009. 96. Nicola L, Bower AF, Kim K.-S., et al. Multi-asperity contact: A comparison between discrete dislocation and crystal plasticity predictions, Philosophical Magazine, Vol. 88, Issue: 30-32, pp. 3713-3729, 2008. 95. Gao YF, Yu HH, Kim K.-S. , “Micro-plasticity of surface steps under adhesive contact: Part II - Multiple-dislocation mediated contact hardening,” Journal of The Mechanics and Physics of Solids, Vol. 56 Issue: 9 pp. 2759-2772, 2008. 94. Lou J, Kim K.-S., “Effects of interfaces on nano-friction of vertically aligned multi-walled carbon nanotube arrays,” Materials Science and Engineering A-Structural Materials Properties Microstructure and Processing Vol. 483, Sp. Iss. SI, pp. 664-667, 2008. 93. Li QY, Kim K.-S., “Micromechanics of friction: effects of nanometre-scale roughness,” Proceedings of the Royal Society A-Mathematical Physical and Engineering Sciences, Vol. 464, Issue 2093, pp 1319-1343, 2008. 91. Youngseok Oh, Jaeboong Choi, Youngjin Kim, Kyungsuk Kim, Seunghyun Baik, The effects of ball milling process on the diameter dependent fracture of single walled carbon nanotubes, Scripta Materialia 56 (2007) 741–744. 90. Yu, H.H., Shrotriya, P., Gao, Y.F., Kim, K.-S., “Micro-plasticity of surface steps under adhesive contact. Part I. Surface yielding controlled by single-dislocation nucleation”, Journal of the Mechanics and Physics of Solids, 55, 489-516, 2007. 89. Nicola, L., Bower, A.F., Kim, K-S., Needleman, A. Van der Giessen, E., Surface versus bulk nucleation of dislocations during contact. Journal of the Mechanics and Physics of Solids, 55 (6): 1120-1144, 2007. 88. Burke, Brian C.P., Kim, Saeja Oh, Kim, Kyung-Suk, Partial polar decomposition inverse method applied to determination of internal stresses in an elastic complex structure. International Journal of Solids and Structures, 44 (6): 2010-2020, 2007. 87. Choi, S. T. and Kim, K.-S. “Nano-scale planar field projection of atomic decohesion and slip in crystalline solids, Part I: Formulation for a crack-tip cohesive zone,” Philosophical Magazine, 87 (12): 1889-1919 2007. 86. Kyung-Suk Kim, Nano and Micromechanics of Solid Surface Suspension, NANOMEC06 Symposium on Materials Science & Materials Mechanics at the Nanoscale, Politecnico di Bari, Bari, Italy, 19-23 November 2006. 85. Kim, Kyung-Suk, Nano and Micromechanical Measurement of Interaction Forces Between Solid Surfaces. Key Engineering Materials 326, 1-4, 2006. 84. Park,K.H., Choi, B.L., Lee, K.W., Kim, K.-S., Earmme, Y.Y., “Modeling and Design of Exhaust Manifold Under Thermomechanical Loading, Proceedings of the Institution of Mechanical Engineers, Part D; Journal of Automobile Engineering, 220(D12), 1755-1764, 2006. 83. Wang, J., Lian, J., Greer, J. R., Nix, W. D., Kim, K.-S., Size Effect in Contact Compression of Nano and Microscale Pyramid Structures. Acta Materialia 54 (15) 3973-3982, 2006. 82. Gao, Y.F., Bower, A.F., Kim, K.-S., Lev, L., Cheng, Y.T., The behavior of an elastic–perfectly plastic sinusoidal surface under contact loading. Wear 261(2), 145–154, 2006. 81. Li, Q., Kim, K.-S., Rydberg, A., Lateral Force Calibration of an AFM with a Diamagnetic-Levitation Spring System. Review of Scientific instruments 77(6), 065105, 2006. 80. Wang, J., Shrotriya, P., Kim, K.-S., Surface Residual Stress Measurement using Curvature Interferometry. Experimental Mechanics 46 ( 1 ), 39–46, 2006. 79. Torres, J R; Jay, G D; Warman, M L; Kim, K.-S., “Scale Bridging Model of Adhesive Force Reduction and Molecular Aggregation on Contacts Coated by Lubricin,” Orthopedic Research Society Tansactions, Vol. 30, 0898, 2005. 78. Michael E. Kassner, Kyung-Suk Kim, et al., “New directions in Mechanics,” Mechanics of Materials, 37, pp231-259, 2005. 77. Choi, S. T. and Kim K.-S., “Nano-scale planar field projection of atomistic decohesion of crystalline solids,” ICTAM Proceedings, Warsaw, Poland, 2004. W.O.Pat-111575. Kyung-Suk Kim, Junlan Wang and Pranav Shrotriya, “Interferometric Absolute and Real-Time Surface Curvature Sensor Insensitive to Tilt, Translation and Vibration,” World Intellectual Property Organization, Publication No. WO/2004/111575. 76. Wang, J., Ward, D., Curtin, W.A. and Kim, K.-S. “Contact Compression of Self-assembled Nano-and Micro-scale Pyramid Structures on Au (100) Surface,” MRS Proceedings, Vol. 795, L8.51, Boston, 2003. 75. Wang, J., Shrotriya, P., Yu, H. and Kim, K.-S. “Experimental measurements of surface residual stresses caused by nano-scale contact of rough surfaces,” MRS Proceedings, Vol. 795, U9.9, Boston, 2003. 74. Yu, H., Shrotriya, P., Wang, J. and Kim, K.-S. “Dislocation nucleation and segregation in nano-scale contact of stepped surfaces,” MRS Proceedings, Vol. 795, U7.9, Boston, 2003. 73. Shenoy, V.B. and Kim, K.-S., “Disorder effects in dynamic fragmentation of brittle solids,” J. Mech. Phys. Solids, Vol. 51, pp. 2023-2035, 2003. 72. Hong, S. and Kim, K.-S., “Extraction of cohesive zone laws from elastic far fields of a cohesive crack tip: a field projection method,” J. Mech. Phys. Solids, Vol: 51, No. 7, pp. 1267-1286, 2003. 71. Kim, K.-S., “Measurement of microscopic residual stress based on the evolution of surface roughness during shallow chemical etching,” Proceedings of IUTAM symposium in Abisko, Sweden, 2002. 70. Yu, H., Kim, K.-S. and Cheng, Y. T., “Strength of Surface Nano-Crystalline Layers,” Contemporary Research in Theoretical and Applied Mechanics, Ed. R.C. Batra and E.G. Henneke, p. 465, 2002. 69. Bastawros, A.F., Kim, K.-S., “Electric-current induced crack growth in thin films: Ex­perimental observations and continuum description,” International Journal of Damage Mechanics, Vol. 10, No. 3, pp. 195-213, 2001. 68. Benzerga, A. A., Hong, S. S., Kim, K.-S., Needleman, A. and Van der Giessen, E., “Smaller is softer: an inverse size effect in a cast aluminum alloy,” Acta Materialia, Vol. 49, No. 15, pp. 3071-3083, 2001. 67. Kim, K.-S., “Atomic inter-planar responses and frictional behavior of a single-asperity contact,” invited paper, Bulletin of the American Physical Society, Vol.45, No.1, p249, 2000. 66. Kim, K.-S. and Hurtado, J. A., “Length-Scale Effects in Nano-and Micro-Mechanics of Solids,” Key Engineering Materials, Vol. 183, pp.1-8, 2000. 65. Bastawros, A.-F. and Kim, K.-S., Experimental Analysis of Near-Crack-Tip Plastic Flow and Deformation Characteristics (I): Polycrystalline Aluminum,” J. Mech. Phys. Solids, Vol: 48, No. 1, pp. 67-98, 2000. 64. Im, S. and Kim, K.-S., An application of two-state M-integral for computing the inten­sity of the singular near-tip field for a generic wedge,” J. Mech. Phys. Solids, Vol: 48, No. 1, pp. 129-151, 2000. 63. Kim, K.-S., “Scale effects in adhesive-contact friction,” Extended Abstracts, 1999 MRS Workshop Series; Tribology on the 300th Anniversary of Amontons' Law, 1999. 62. Kim,K.-S., Hurtado,J.A. and Tan,H., “Evolution of surface-roughness spectrum caused by stress in nanometer-scale chemical etching,” Physical Review Letters, Vol. 83, No. 19, pp. 3872-3875, 1999. 61. Andrews, E. A. and Kim, K.-S., “Threshold conditions for dynamic fragmentation of glass particles,” Mechanics of Materials, Vol. 31, No. 11, pp. 689-703, 1999. 60. Hurtado, J. A. and Kim, K.-S., “Scale effects in friction of single-asperity contacts: Part I; from concurrent slip to single-dislocation-assisted slip,” Proc. R. Soc. London. A, Vol. 455, pp. 3363-3384, 1999. 59. Hurtado, J. A. and Kim, K.-S. Scale effects in friction of single-asperity contacts: Part II; Multiple-dislocation-cooperated slip,” Proc. R. Soc. London. A, Vol. 455, pp. 3385-3400, 1999. 58. Bastawros, A.-F. and Kim, K.-S. “Experimental analysis of deformation induced mi­crostructure near a crack tip in a hardened copper crystal,” Fracture and Ductile vs. Brittle Be­havior, MRS Proceedings, Vol. 539, pp. 251 -256, 1998. 57. Hurtado, J. A. and Kim, K.-S., “Transitions of shear resistance in a single-asperity contact,” Fracture and Ductile vs. Brittle Behavior, MRS Proceedings,” Vol. 539, pp. 81 -92, 1998. 56. Bastawros, A.-F. and Kim, K.-S., Experimental study on electric-current induced dam­age evolution at the crack tip in thin film conductors.” Journal of Electronic Packaging, Vol. 120, No. 4. pp. 354-359, 1998. (1999 Best JEP Paper Award from ASME). 55. Andrews E. A. and Kim, K.-S. Threshold Conditions for Dynamic Fragmentation of Ceramic Particles,” Mechanics of Materials, Vol. 29, pp. 161-180, 1998. 54. Kim, K. -S., McMeeking, R. M. and Johnson, K. L., Adhesion, Slip, Cohesive Zones and Energy Fluxes for Elastic Spheres in Contact,” J. Mech. Phys. Solids, Vol. 46, No. 2, pp. 243-266, 1998. 53. Bastawros, A.-F. and Kim, K.-S., “The role of electric-current induced heating in damage evolution at the crack tip in thin films,” Application of Fracture Mechanics in Electronic packaging, EEP-Vol. 13, pp 1-12, 1997. 52. Andrews, E. A. and Kim K. -S., “Particle-Impact Experiment for Studying Dynamic Be­havior of Brittle Materials,” Advances in Failure Mechanisms in Brittle Materials, MD-Vol. 75/AMD-Vol. 219, pp. 81-91, 1996. 51. Tsai, K.-H. and Kim, K. -S., Micromechanics of Fiber Pull-Out,” J. Mech. Phys. Solids, Vol. 44, No. 7, pp. 1147-1177, 1996. 49. Bastawros, A.-F. and Kim, K.-S., “Electro-Thermal Crack Growth Caused by Electric-Current Intensification,” Application of Fracture Mechanics in Electronic packaging and Materials, EEP-Vol. 11, No. H01018, pp 237-244, 1995. Prc-50. O'Neil, D. A., Selverian, J. H. and Kim, K. -S., “Plasticity considerations in probabilistic ceramic-to-metal joint design,” Transactions of ASME, 94-GT-229, pp. 1-12, June, 1994. (See 54). 48. Kim, K. S., Shih, C. F., Moran, P., Liu, X. H., “Kink Band Propagation under Com­pressive Loading in Thick Composites,” Proceedings of International Conference on Composite Engineering, Ed. D. Hui, August, 1994, pp 1051-1052. 47. Shield, T. W., Kim, K.-S. and Shield, R. T., “The Buckling of an Elastic Layer Bonded to an Elastic Substrate,” Journal of Applied Mechanics, Vol. 61, pp. 231-235, 1994. 46. Rice, J. R., Ben-Zion, Y., Kim, K.-S., “Three-Dimensional Perturbation Solution for a Dynamic Planar Crack Moving Unsteadily in a Model Elastic Solid,” J. Mech. Phys. Solids, Vol. 42, No. 5, pp. 813-843, 1994. 45. Shield, T. W. and Kim, K.-S. “Experimental Measurement of the Near Tip Strain Field in an Iron-Silicon Crystal,” J. Mech. Phys. Solids, Vol. 42, No. 5, pp. 845-873, 1994. 44. Andrews, E. W. and Kim, K.-S. “Deformation Recovery Experiment for Penetration Dynamics,” Experimental Techniques in the Dynamics of Deformable Solids, ed. by K. T. Ramesh, ASME-AMD Vol. 165, No. G00788, pp. 49-59, 1993. 43. Yang, M. and Kim, K. -S., “Interface fracture analysis of joints with a ductile interlayer,” International Journal of Fracture, Vol. 64, pp. 201-210, 1993. 42. Tsai, K.-H. and Kim K.-S., “Stick-slip in the thin film peel test, part I, the 90o peel test, “ Int. J. Sol. Struct., Vol. 30, No. 13, pp. 1789-1806, 1993. 41. Yang, M. and Kim, K.-S., “On the Behavior of Subinterface Cracks with Crack-Face Contact,” Engineering Fracture Mechanics, Vol. 44, No. 1, pp. 155-165, 1993. 40. Tsai, K.-H., Schwartzman, A.F., Gallego, R, Ortiz, M., O'Keefe, M. A. and Kim, K.-S., “Determination of the Strain Field from an HREM image of a Si Lomer Dislocation,” Proceedings of the Annual Meeting of the Electron Microscopy Society of America, Boston, August, 1992. 39. Choi, H. C., Schwartzman, A. F. and Kim K. -S., “Experimental deformation mechanics of materials from their near-atomic-resolution defect images,” Mat. Res. Soc. Symp. Proc., Vol. 239, pp. 419-424, 1992. 38. Shield, T. W. and Kim, K.-S., “Beam theory Models for Thin Film Segments Cohesively Bonded to an Elastic Half Space,” Int. J. of Solids and Structures, Vol. 29, No.9, pp. 1085-1103,1992. 37. Choi, H. C. and Kim, K. -S., “Analysis of the spontaneous interfacial decohesion of a thin surface film,” J. Mech. Phys. Solids, Vol. 40, No. 1, pp. 75-103, 1992. U.S.Pat-5,108,025. Kang, Shinhoo, Selverian, John H., Kim, Hans J., Dunn, Edmund M., Kim, Kyung S., “Ceramic-metal composite article and joining method,” April 28, 1992. 36. Rice, J. R., Yehuda, B.-Z., and Kim, K.-S., “A First Order Perturbation Solution for a Dynamic Planar Crack with a Non-Uniformly Moving Front,” American Geophysical Union 1991 Fall Meeting Program and Abstracts (supplement to 29 Oct. 1991 EOS, Trans. AGU), Abstract S31C-7, p. 325, 1991. Prc-42. Tsai, K.-H. and Kim, K.-S., “Stick-Slip in Thin Film Peeling,” ASME Proceedings, 91-WA/EEP-8, pp 1-10, 1991. 35. Tsai, K.-H. and Kim, K.-S., “A Study of Stick-Slip Behavior in Interface Friction Using Optical Fiber Pull-Out Experiment,” Speckle Techniques, Birefringence Methods, and Applications to Solid Mechanics, SPIE Proceedings, ed. by Fu-Pen Chiang, Vol. 1554A, pp529-541, 1991. 34. Freund, L. B. and Kim, K.-S., “Spiral cracking around strained cylindrical inclusions in a brittle material and implications for vias in integrated circuits,” Mechanical Behavior of Materials and Structures: MRS Proceedings, edited by E. Suhir, R. C. Cammarata and D. D. L. Chung, Vol. 226, pp. 291 -302, 1991. 32. Shield, T.W. and Kim, K-S. “Diffraction Theory of Optical Interference Moire and a Device for Production of Variable Virtual Reference Gratings: A Moire Microscope,” Experimental Mechanics, Vol. 31, No. 2, pp 126-134, 1991. 31. Mettu, S. M. and Kim, K.-S., “Application of the Time-Domain Boundary Integral Equation Method to Dynamic Crack Propagation,” Engineering Fracture Mechanics, Vol. 39, No.2, pp 339-345, 1991. 30. Kamath, S.M. and Kim, K.-S., “On measuring the near-tip plastic strain singularity,” J. Appl. Mech., Vol. 57, No. 4, pp. 901 -905, 1990. 29. Tsai, T. H., Kim, K.-S. and Morse, T. F., “General Solutions for Stress-Induced Po­larization in Optical Fibers,” Journal of Lightwave Technology, Vol. 9., No. 1., pp. 7 -17, 1991. 28. Aravas, N., Kim, K.-S. and Leckie, F.A., “On the stored energy of cold work,” J. of Engineering Materials and Technology, Vol. 112, No. 4, pp 465 -470, 1990. 27. Jensen, H.M., Hutchinson, J.W. and Kim, K.-S., “Decohesion of a cut prestressed film on a substrate,” Int. J. Solids and Structures, Vol. 26, No. 9/10, pp. 1099 -1114, 1990. 26. Shield, T.W. and Kim, K.-S., “Moire microscope for the experimental determination of the in-plane displacement field near a crack tip in a single crystal,” Micro Mechanics: Experimental Techniques, ASME, AMD Vol. 102, pp. 41 -60, W. N. Sharpe, Jr. ed. 1989. 25. Kim, K.-S., “Adhesion and Decohesion of thin film,” Bulletin of the American Physical Society, invited paper, Vol. 34, No. 3, pp. 624 -625, March 1989. 24. Kim, J., Kim, K.-S. and Kim, Y.H., “Mechanical effect of peel adhesion test,” J. of Adhesion Science and Technology, Vol. 3, No. 3, pp. 175 -187, 1989. 23. Aravas, N., Kim, K.-S. and Loukis, M., “On the adhesion test of flexible thin film,” J. of Materials Science and Engineering, Vol. A107, pp. 159 -168, 1989. 22. Kim, K.-S. and Phillips, J.W., “Optical methods of caustics,” Manual on Experimental Stress Analysis, ed. J.F. Doyle, SEM Inc., Chapter, 1988. 21. Kim, K.-S., “Mechanics of the peel test for thin film adhesion,” Adhesion in Solids, Proceedings of Materials Research Society, Vol. 119, pp. 31-41, 1988. 20. Dickerson, K.L. and Kim, K.-S., “Blunt crack caustics,” Optical Engineering, Vol. 27, No. 8, pp. 611-618, 1988. 19. Kim, K.-S. and Aravas, N., “Elastoplastic analysis of the peel test,” Int. J. Solids and Structures, Vol. 24, No. 4, pp. 417-435, 1988. 18. Kim, K.-S. and Kim, J., “Elasto-plastic analysis of the peel test for thin film adhesion, J. of Engineering Materials and Technology, Vol. 110, pp. 266-273, 1988. Prc-20. Dickerson, K. L. and Kim K.-S., “Blunt crack caustics,” SPIE Proceedings, Vol. 814, Part Two, September 1987. 17. Kamath, S.M. and Kim, K.-S., “An experimental study of dynamic transient crack growth in finite geometry specimen,” Dynamic Failure, Proceedings of the 1987 SEM Fall Conference, Savannah, Georgia, pp. 228 -233, October 1987. 16. Kim, K.-S., “Interfacial fracture energy for mechanics of thin film delamination,” Bulletin of the American Physical Society, Vol. 32, No. 3, p. 607, 1987. 15. Dehodgins, O.C., Uhlmann, D.R., Tesoro, G.C., Baglin, J.E.E., Kim, K.-S. “Adhesion and mechanical properties of Si-SiO2-polyimide interfaces,” Journal of the Electrochemical society, Vol. 134, Issue: 8B , C435-C435, 1987. Prc-18. Kim, K.-S. and Kim, J., “Elastic-plastic analysis of the peel test for thin film adhesion,” J. Engineering Materials and Technology, Transactions of ASME, 86-WA/EEP-3, pp. 1-10, December 1986. 14. Kim, K.-S., “Dynamic Fracture Studies by the Method of SIFT,” Optical Method in Composite, Proceedings, 1986 SEM Fall Conference, Keystone, Colorado, pp. 294-298, November 1986. 13. Kim, J., Kim, K.-S., Jahnes, C. and Hougham, G., “Thin Film Adhesion-Mechanical Effects,” J. of Research and Development, IBM, RC11860, pp. 1-16, 1986. 12. Kim, K.-S., Dickerson, K.L. and Knauss, W.G., “Viscoelastic behavior of opto-mechanical properties and its application to viscoelastic fracture studies,” Int. J. of Fracture, Vol. 32, No. 4, pp. 265 -283, December 1986. 11. Kim, K.-S. and Kamath, S.M., “Coherent light shadow spot at a crack under Mode-I loading,” Experimental Mech., Vol. 26, No. 4, pp. 386 -393, 1986. 10. Kamath, S.M. and Kim, K.-S., “On Rayleigh wave emission in brittle fracture,” Int. J. of Fracture, Vol. 31, R57-R62, 1986. 9. Adrian, R.J. and Kim, K.-S., “Book reviews: Optical Methods in Dynamics of Fluids and Solids,” ed. M. Pichal, Springer-Verlag, New York, AIAA Journal, p 1407, 1986. 8. Kim, K.-S., “Dynamic fracture under normal impact loading of the crack faces,” J. Appl. Mech., Vol. 50, No. 3, pp 585-592, 1985. 7. Kim, K.-S., “Stress intensity factor tracer,” J. Appl. Mech., Vol. 52, No. 2, pp. 291-297, 1985. 6. Kim, K.-S., “A stress intensity factor tracer and its application to time dependent fracture testing,” Advances in Fracture Research, Vol. 5, pp. 3287-3294, 1984. 5. Kim, K.-S. and Clifton, R.J., “Dislocation motion in MgO crystals under plate impact,” J. of Material Science, Vol. 19, pp. 1428-1438, 1984. 4. Kim, K.-S., Dickerson, K.L. and Knauss, W.G., “Viscoelastic effect on dynamic crack prop­agation in homalite 100,” Workshop on Dynamic Fracture (NSF, ARO), pp. 205-225, Pasadena, Feb. 1983. 3. Kim, K.-S. and Phillips, J.W., “Focal-plane analysis of the optical pattern produced by a Mode-I crack,” Proceedings of the 18th Annual Meeting of the Society Engineering Science, Providence, RI, p. 173, September 1981. 2. Kim, K.-S., Clifton, R.J., “Pressure shear impact of 6061-T6 aluminum,” J. Appl. Mech., Vol. 47, No. 1, pp. 11-16, 1980. 1. Kim, K.-S., Clifton, R.J. and Kumar, P., “A combined normal and transverse displacement interferometer with an application to impact of Y-cut quartz,” J. of Appl. Phys., Vol 48, No. 10, pp. 4132-4139, 1977.